My grandson loves playing with his race car from Green Toys. 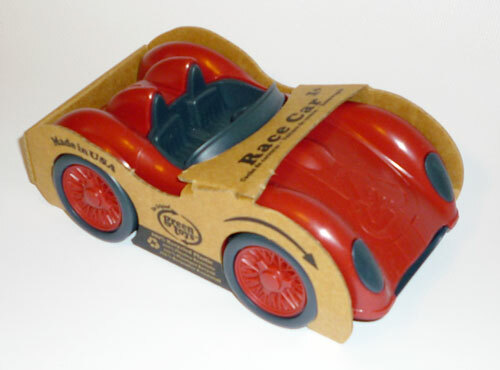 Grown-ups like the environmentally friendly packaging, and the fact that it's made with recycled plastic. 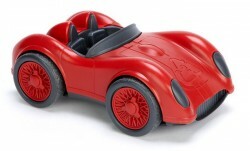 I bought my grandson this red race car from Green Toys when he was about a year and a half old. This little boy is completely in love with all vehicles — cars, trucks, planes, trains — and this race car is no exception. Fire truck from Green Toys is sturdy, fun, and eco-friendly. 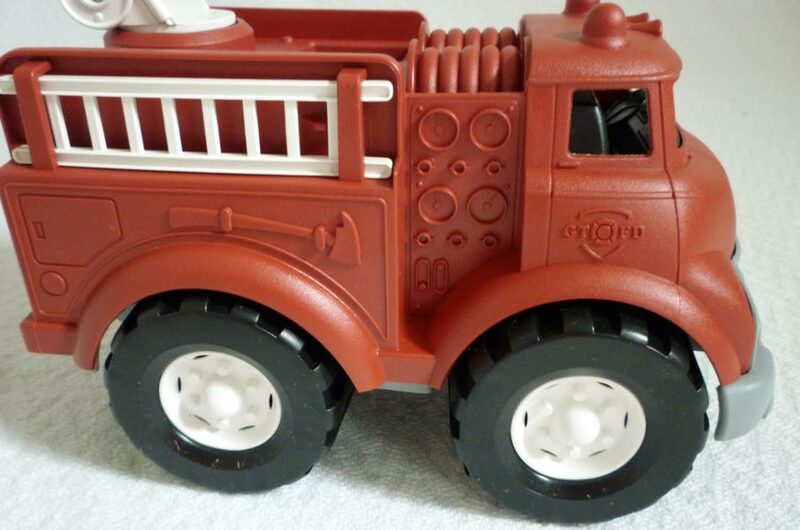 I bought the Green Toys Eco-Friendly Fire Truck for my grandson for his first birthday. His eyes got as big as saucers when he saw it! I like it because it's very sturdy. My grandson is a strong little guy, and he's pretty good at bashing things around. I'm confident he won't be able to break this thing, though.